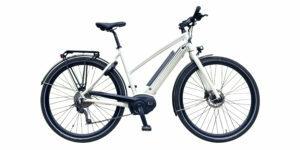 Continental EcoContact Plus, 26" x 1.75"
The Smart Ebike is one of a handful of new electric bike offerings from established automobile companies, in this case Mercedes Benz Smart. 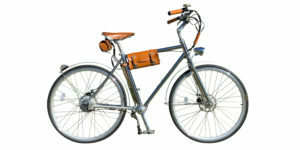 In the same way that Ford partnered with Pedego to create the Supercruiser, Smart chose to partner with BionX for their drive system and consulted the famous German designer Kalle Nicolai to create an iconic frame. This bike performs very well, is made with durable components from SRAM, Magura and Ergon and is nearly silent to operate. 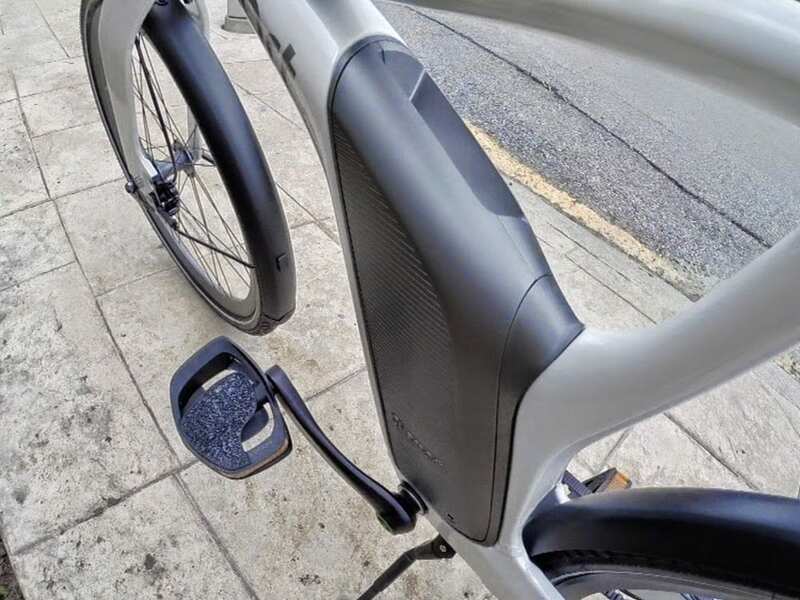 While it’s not the lightest weight ebike at 57.5 pounds, it does keep battery and motor weight low and balanced and is priced fairly well given the brand support and complete package (fenders, LED lights, regenerative braking). The battery pack powering this bike offers an impressive 48 volts of power with 8.8 amp hours of capacity. That’s above average for most ebikes I’ve tested and it makes accelerating and climbing easier. The battery pack is custom designed to follow the curves of the frame and can be charged on or off the bike which is convenient for topping off at work or if you live upstairs but park the bike in a garage at street level. 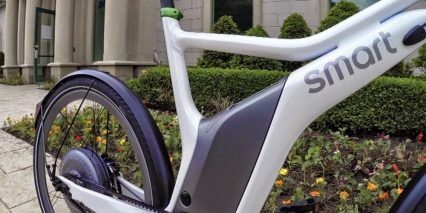 When BionX was working with Smart to develop this bike they also created a feature called Deep Sleep that senses if battery is getting low or hasn’t been used. When activated (after 2 months of inactivity or 2 weeks if the battery is lower than 10%) it completely shuts the pack down to avoid damage, prolonging its life. 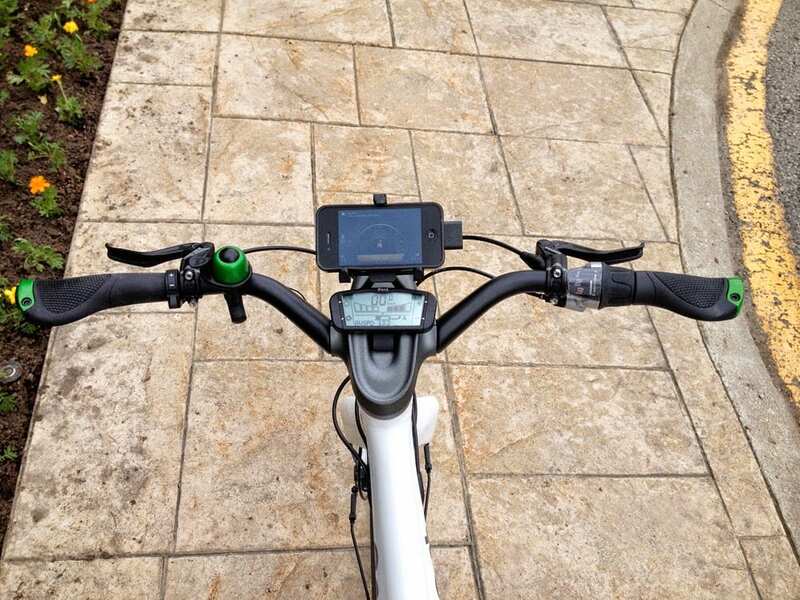 In addition to powering the motor, the battery on the Smart electric bike also powers a nice backlit display that shows you speed, distance and battery capacity as well as a front and rear LED light. 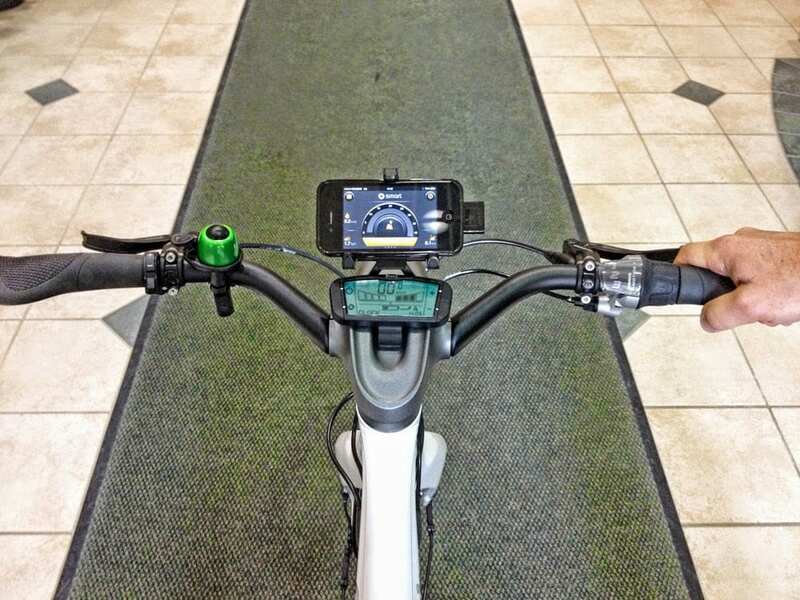 The wires are all run through the frame on this bike which makes for a clean aesthetic and they have even added a USB outlet below the light so you can plug your phone or other smart device in to charge when riding! They really did things right here in my opinion and the clean design compliments the quiet riding experience and beautiful paint job (which comes in white and green or gray and orange). 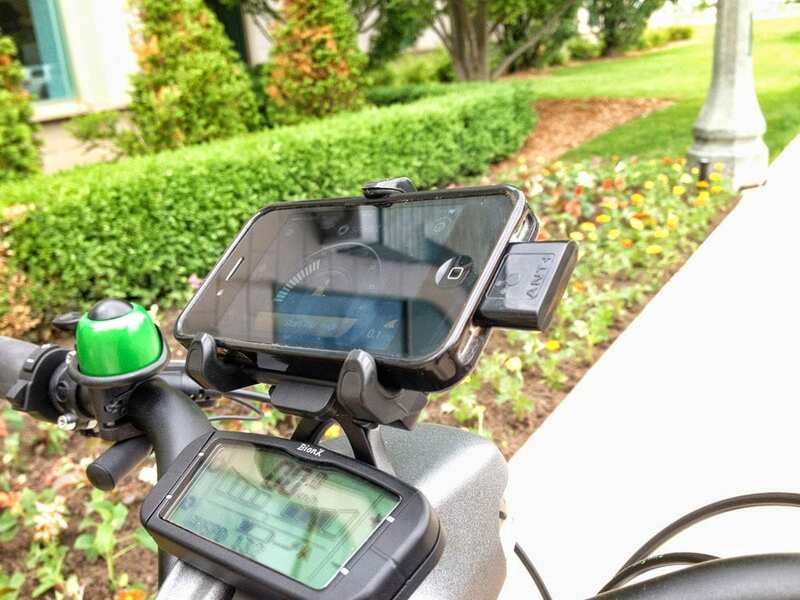 In addition to the standard BionX display mentioned earlier (which is removable for safe storage) there is also an optional smart phone mount and ANT+ dongle that lets you mate an Android or iOS smart phone with the bike for more stats. It worked really well during my tests and could come in handy for GPS mapping your way around the city but otherwise I’d just rely on the standard display. I realize my iPhone screen didn’t look too bright in the video but it worked alright in real life, having two screens looks a bit goofy but they function well and the mount is pretty flexible (accommodating 3.5″ to 4.3″ screens with vertical or horizontal orientation). There’s a lot to say about this ebike but the funny thing is, I haven’t been able to find it very easily in the USA as of July 2014? 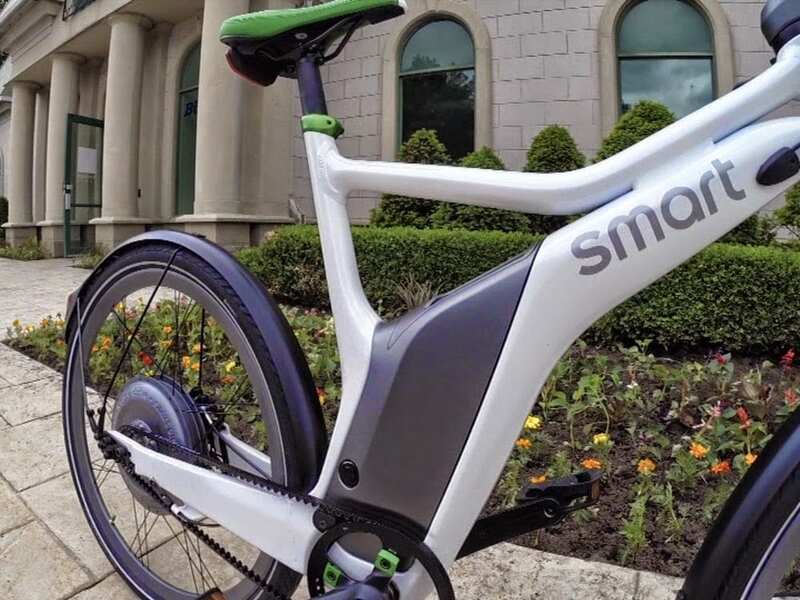 Smart has launched it in Europe with lower end specs (250 watt motor and 15mph top speed) and presumably are preparing to launch here before 2015. You really get a refined experience here and the optional cargo rack, matching panniers and jacket and optional suspension fork make it pretty versatile. The price is a bit higher but I think it’s justfied and I trust both Smart and BionX. Depending on your height the Medium-only frame size could be a limiter but the seat is fairly adjustable. The angled top tube and 26″ tires make it easy to mount and stand over for people who aren’t as tall. This would be a perfect electric bike for city or neighborhood riding. Even though it looks futuristic, the electric drive systems all blend in and operate quietly which means you won’t scare away wildlife on paved bike trails or attract unwanted attention. 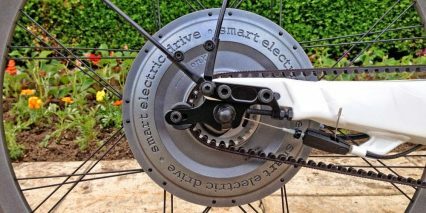 Smart has done a great job and even though it’s a first-generation product the drive system is very well tested. Spot on, and thorough, Court! 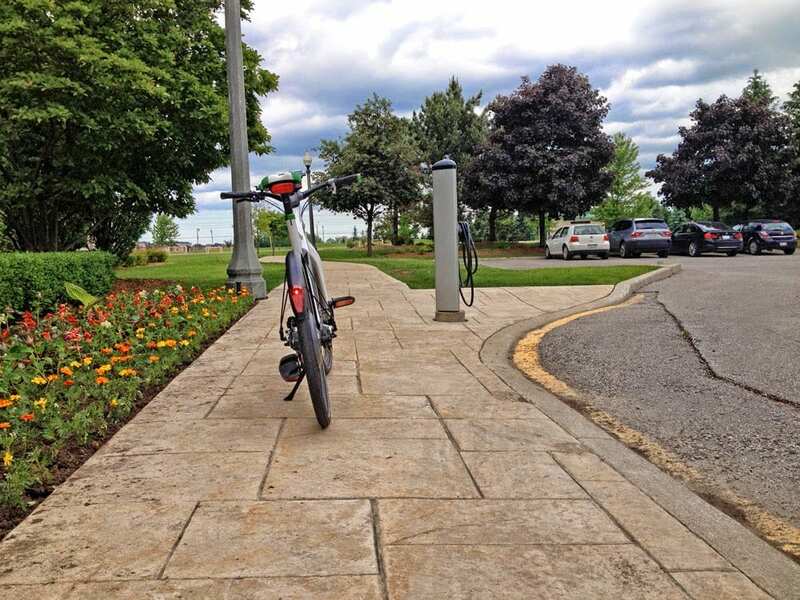 My experience with 1000+ Km on the SMART electric bike is all good – zero problems. Changed out the stock pedals and seat to suit me better otherwise perfecto. Buyers should be sure to get the optional left handlebar mounted assist/regen switch for convenience and safety – keeps both hands on the grips at all times. If memory serves SMART offers a higher handlebar option for taller riders and/or those wishing a more upright stance – remember headwinds are much less of an issue. I believe there’s also a comfort seat option. Enjoy the ride! Thanks! Always great to hear about those extras and I’m glad the SMART ebike has been working great for you. I’m just excited to see more of these in the wild… right now it seems like very few dealers have them. Where to buy it in the US .? 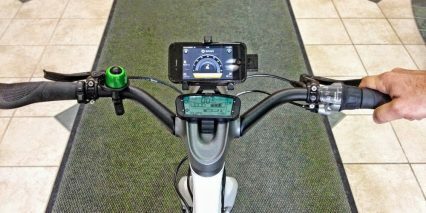 Hi Court, this review is from riding and trying this smart bike yourself!? I’m not really sure Ismael, I called several Mercedes Benz / Smart dealerships around the country and none had it. They each knew about the bike and one even had a demo model but they sold it when someone expressed interest (they were not supposed to yet). In order to do the test ride shown in the video here I had to go to Canada. Maybe the bike will be available in Fall 2014? I cannot say for sure. Yep, I am the one in the video review above. 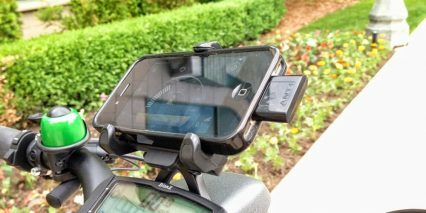 This review was shot and written by me based on trying the bike in person at the BionX headquarters in Canada. 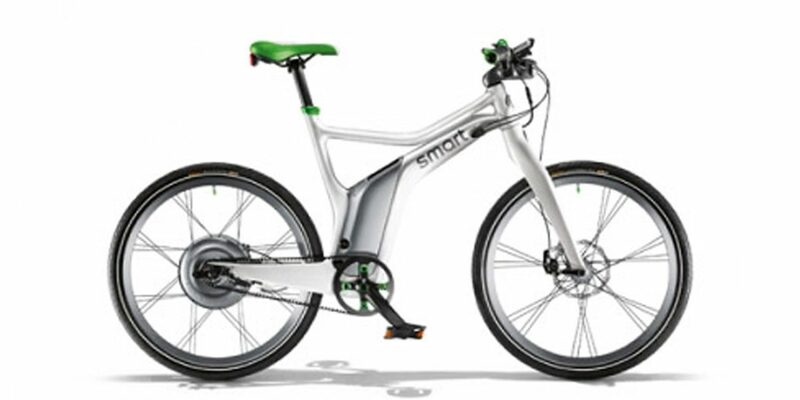 I haven’t been able to find the Smart eBike anywhere else since then but I was told it should be coming to some dealers before end of year 2014. I’ve been looking at this bike ever since I heard of it. Would love to add it to my Smart Collection. If it’s not available by Fall 2014 I will be buying a different brand since I will be needing a college bike and cannot wait further. If you have to get a Bionx system, this is the one I would want. Great review Court! 48V, belt drive with integrated hub. Shock fork option. Very well integrated fender/lights, removeable battery. Question: Do the Bionx hubs have more cogging, when coasting at speed, than the Easy Motion hubs? This one is ahead of the game, imo. Hey Dan! Thanks, I agree that the Smart Ebike is doing a lot right and really puts the BionX system to work. I love the integrated three speed hub INSIDE the motor… just awesome. Regarding your question, yes, all BionX gearless direct-drive motors have more cogging than an Easy Motion geared 350 watt hub. The geared Dapu hub that Easy Motion uses is not direct-drive, it freewheels when coasting so there’s virtually no drag. The BionX motors by comparison offer regenerative braking but do experience cogging as demonstrated in some of the other review videos including this one for the D-Series. Hi Norbert! 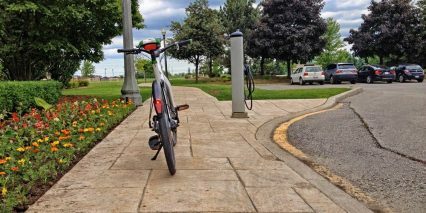 I would love to help you find the Smart Ebike in Canada… or the US… or anywhere! I really struggled to get this review (drove to the BionX headquarters near Toronto where they had a demo). If I were you I’d call Mercedez/Smart dealers in advance and see if they can get one in for you. I’m not sure what the deal is with this ebike… seems like it was mostly available in Europe and not the US. Hi Mark, it appears that the app is no longer available in the US or any other geography I searched for. I found several reference links while searching Google and even this page which shows the app and tries to link to the iTunes store but then you get a message about how “the item you requested is not currently available”. 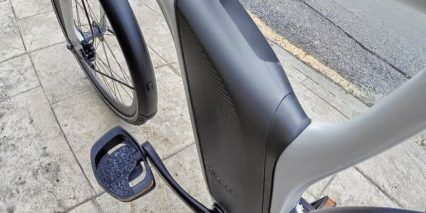 I’m really sorry, this is a huge bummer… do you own the Smart Ebike? I’ll reach out to the company to see what’s up and whether they are dropping support or something. Hi Court, yes i do own the smart Ebike and decided to buy because of the design, and based on your review. It’s almost impossible to buy to here in Europe, but managed to find one slightly used in Germany (I’m from Denmark). I have reached out to Smart/Mercedes many times both directly and and through social medias, but no response. So I really appreciate for you trying contacting them also. So if I should leave a final comment on this bike. “Fantastic Bike, not so great support”…. Thanks for sharing your feedback, I reached out to the CEO of BionX and his lead support rep and technology trainer. They replied and said they would look into this and try to help. I think one of them actually has the software on his phone but that might not mean he is able to transfer it, I’ve offered to host the files on EBR if we can get them. Just an update. I’ve had my SMART ebike for some months now and it’s been great. However, here in the UK support for the product from Mercedes Benz is almost non-existent. I have since discovered this is because the bike is actually manufactured by Grace Bikes in Berlin. Not such a bad thing as Grace bikes are really awesome! 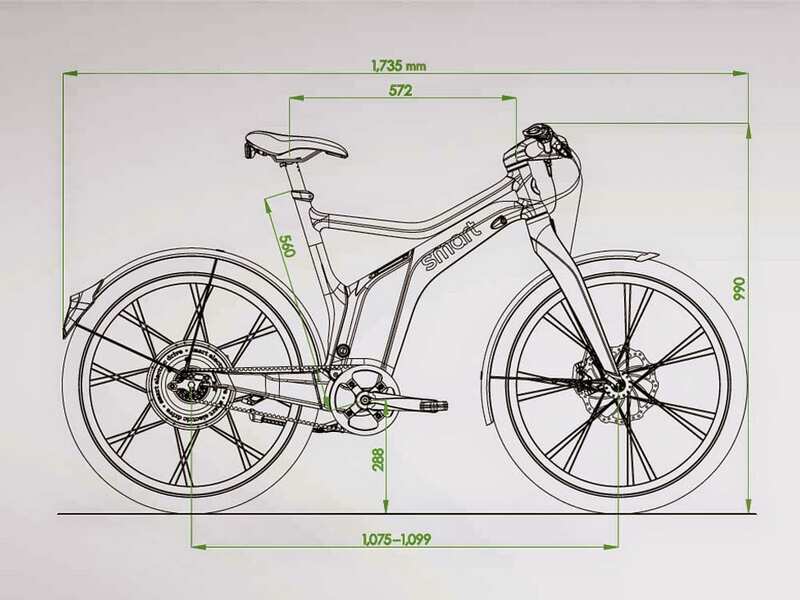 I think you are right….just seems so sad with all the engineering and tremendous resources they have put into this great Smart Bike! 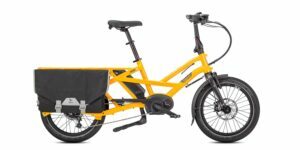 With the growth and demand in ebikes, they are missing the market. Yeah… at big companies who might have a different primary focus I can understand like something like this could be “experimental” or just get lost in the shuffle. I was pretty surprised how difficult it was to find, I called lots of Smart dealers in the US and only one of them even knew what I was talking about. This is encouraging that it may make it to the USA…the market is getting really hot for the bike. Regardless, I am determined to import one of the larger wattage Smart bikes very soon. Jerry Dunton this bike is not legal to sale in the US so Daimler/MB can’t sale them to the public and that is why you can’t find it here. If you are interested in purchasing one I might can advise you on obtaining one. Court Rye I know that they have several bikes here in the US, but they are not able to be sold to the public, but they will be available to employees. We just took 2 out of the box since they have been sitting in a warehouse for over 2 years. So you will see several in the Atlanta area that are sold to us. I have included why Daimler/ Mercedes are not able to sale in the US. Recently, at the September Interbike-2013 in Las Vegas, three big players in the E-bike market provided test-rides on production models of their E-bikes that were intended to retail in the USA, and they had a 28-MPH top-speed when in Pedal-Assist-Sensor (PAS) mode…they are Specialized, Currie, and Stromer. Previously, the US federal laws seemed to only allow a top-speed of 20-MPH (and a street power-limit of 750W / one-HP) for street-legal E-bikes. However, sharp lawyers have been looking for a way to legally allow a higher top-speed. Specialized, Currie, and Stromer are all very large international bicycle manufacturers, so something that might make their dealers vulnerable to lawsuits is something that they would never do without some type of solidly-researched legal ground to stand on. That sounds about right Mike! I saw that in September 2015 legislation was passed in California in particular that offers Class 1 to all trails, Class 2 to most paths and Class 3 (the speed-pedelecs) access to many paths and streets all without license or insurance. This was more of a gray area before. 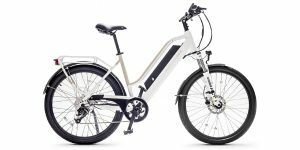 At first glance I thought there wasn’t any review of the Smart Ebike on this site, but now I found out that there is, thanks! I own a special luxury edition of the Smart with fork suspension, cargo rack and color (black edition with orange accents). I am very positive about it, although I replaced the pedals and mounted seat suspension, so it is pretty comfortable to ride now. 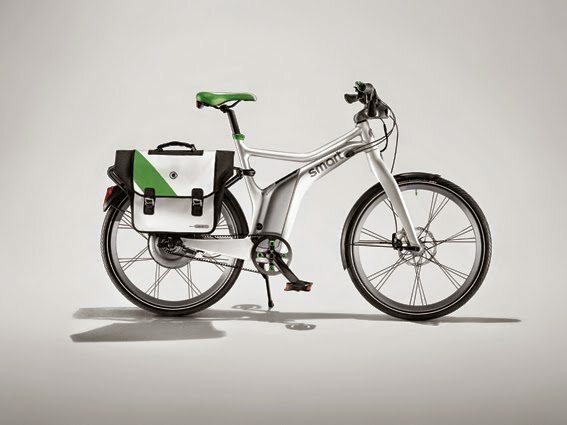 As with other people commenting on the availability of the bike I am very puzzled by the apparent laziness of Smart/Daimler-Benz in marketing, selling, distributing and servicing this bike, also in Europe. I hardly see any other Smart Ebikes on the road here in the Netherlands. Moreover I bought my bike in Germany because it was 400 euros cheaper(!) than in the Netherlands, which is also a very curious thing. On the other hand the bike stays more exclusive of course but I hope not that the scarcity of the bike will affect the continuation of servicing because of the possible disappearance of the bike from the market in the near future. I also live in the Netherlands and own the bike for almost 2 years. the only cons is the light 3 speed sram gearing the candance is to high on higher speeds. now ive biked around 1500km on it. 1000km the first year. due to bad weather last summer. Would be great to plan trips with other dutch(maybe Belgium) and German Smart ebike owners. Well they are selling the ones they brought over to the US to employees so I know I’m buying one for myself but I’m trying to purchase two so I might be able to sell that one to someone if interested. Well I guess it also depends on what paperwork they make us a sign since the bikes are not legally able to be sold to the public here in the US only to employees. I will let you know. I asked if they will be offered before Christmas and I was told yes. They are just setting a price and i I guess the rules to selling them. Just hope I can get two so I can sale the other one. Hello! 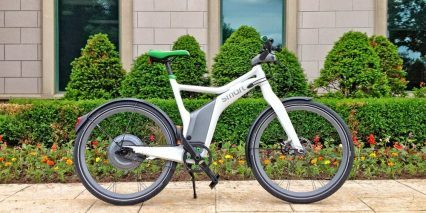 I just bought the Smart ebike, bit i will like to know where to buy the Mounting Bracket and ANT+ Wireless Dongle for Smart Phone? Regards!! Hi Mauricio! Great questions here… I wish I could point you to a reputable dealer but honestly, I don’t know any in the US or Canada? 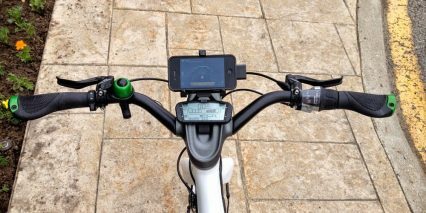 This ebike has been very difficult to locate and I noticed that their smartphone app is no longer in the iTunes store or Android (at least for the US). Where are you located? 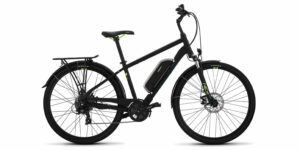 Maybe the dealer could help you find the accessories and upgrades, it’s an awesome electric bike and I hope you’re able to let it reach it’s full potential! It looks like production has been halted on this, here’s a link to a Mercedes/Smart blog with an update. 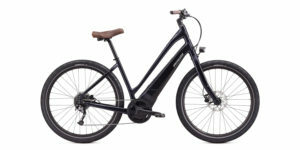 I’ve also posted the link in the Smart Ebike forum. I recently picked up a deeply discounted demo model and have been very impressed with it. I also own a Stromer, and while the Smart lacks the power of the Stromer, it is in some ways a more satisfying ride. Thanks for the update and the link! Wow, it’s amazing that the bike has already been around for three years… Too bad they seem to have removed the app? Maybe it was a liability thing given the changing nature of mobile devices and long term support requirement. Still, the bike hardware wasn’t changing so maybe they could have left it up as legacy so people could try to get it working or maybe open source it? Stopped reading everything, but there were several comments wondering where to get one of these bikes. We live in Victoria BC, Canada and our local Mercedes/Smart Car dealer had these in October, 2015. Sold 5 in one day and we got one! Call the Parts Dept of Three Point Motors in Victoria, 1 250 385-6737. We love the bike and use it to go everywhere. Mercedes has stopped manufacturing this bike. 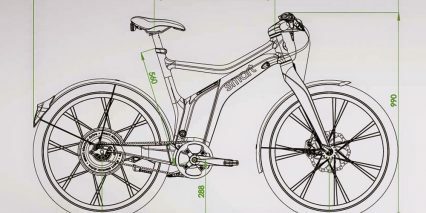 English translation of the above link is in the Smart ebike forum. 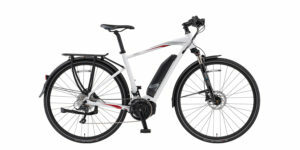 I do have a Smart ebike that is still in the box as part of a promotion, but because of the legal requirements I will not use it but prefer to sell it. if anyone is interested in buying it please send me an email to the listed email address and we can discuss price and delivery. Thanks. Hi, I am interested in this bike. Where abouts are you located? One quick question though. I read that this is a one sized bike. Medium size? What size is that suitable for? I am 6’2″… just hope that would fit? Also…. is there a weight limit? Thanks! I have a Smart ebike if anyone is interested. That’s unfortunate….. but thanks for the info! i want to buy e bile , but i dont speak hebrew, i live in israel in tel aviv. i just know that i like bike ( in hebrew it is called אופניים חשמליים ). pleas, can sombody, davice me what to buy ? i dont understand in that issu. Hi Daniela! 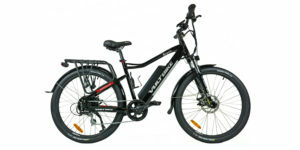 I also don’t speak Hebrew but learned recently that one company I have reviewed does sell electric Bikes in Israel and they are called Magnum and have a second brand called Leisger but neither seems to offer a folding ebike… at least that I have seen in the USA. Feel free to ask around for more help in the EBR Forums Q&A section. Awesome reply, thank you so much! 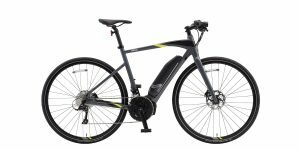 My Smart bike was stolen this week and I think I found the LAST ebike for sale from a dealership. (I’m in Canada). If you REALLY want a Smart bike I found 3 on Kijiji. 1 white in Toronto and 2 grey in Quebec. I hope this helps and that some of the people on this forum get one. It’s the best thing I have ever bought! In regards to service, I crashed a week after I bought the first one and called the dealership where I bought it. Mercedes-Benz Oakville sent a car to pick me up where I crashed, drove me home and took the bike for repairs. That’s pretty damn good service! Prospective owners need to be aware that this bike costs $135/hr to service! Have fun everyone! No excuses man! If you can get to Orillia Canada for BionX interview you can get to Toronto to pick up the white one. This bike is a piece of art. I have a Smart bike for sale if anyone is interested. Brand new condition – 20 mph max. Please send email. Hi Nick! Thanks for sharing, feel free to also post in the EBR forums For Sale section here. Creo que se puede tener algunas bicicletas enviado a usted de los Estados Unidos, algunos comerciantes venden a nivel internacional. Tal vez intente ponerse en contacto directamente con la compañía? En este caso, creo que la moto se interrumpe lo que es posible que desee encontrar lo que solía, revisar los foros de venta sección aquí. I own a smart ebike and find the great and when it comes to hills they are a doodle. The only probe is the weight of the ebike its very heavy to lift up stairs as I have first floor flat. Hey Wayne! Glad you’re enjoying the bike… it’s one of the coolest looking, most integrated one’s I’ve ever reviewed! But yeah, it does weigh a bit more which could be difficult if you have stairs. I believe the battery is removable (which could reduce or reposition weight) but if you have to take two trips, the pack or bike could get damaged, forgotten or tampered with as you take the first part up so it’s not a perfect solution. 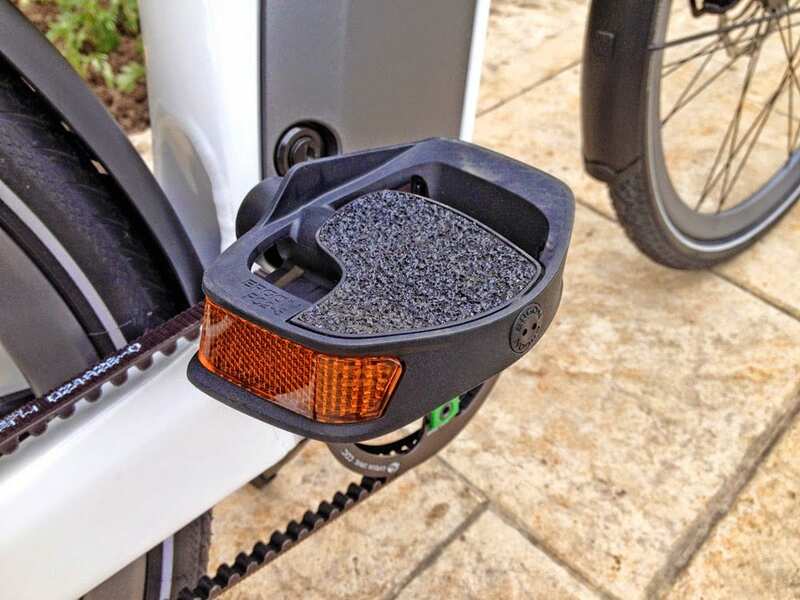 Ebikes are getting lighter all the time so maybe in the future you’ll be able to upgrade to a lighter one! It is faultless in its design and still gets admiring comments 4 years later. The ride is very quiet, but without suspension can be jarring on trails and poor quality roads…the saddle was obviously not designed for the size of bottom I have, but after a few weeks the soreness abated. I weigh over 15 stone and mostly just whack the power up to 4 (the highest level) – so I very rarely get over 20 miles range ( the highest I ever got was 24.5 miles), but that’s about my limit also. I read your review of the Smart bike and decided to buy a new old stock 2013 model off Ebay. The bike is a little small for me, but I love the quiet way it runs and the solid feel it has. My area is very hilly and on downhill sections I run it in full regen mode. This saves me from using the brakes and I can even pedal downhill if I want. I just want to thank Court for all of his dedication to the electric bike world. There are many E-bike choices and I appreciate your hard work to explain what is out there. Were you able to find a replacement battery for the smart ebike? There is a used one on sale in my area, but I do not want to buy unless I know I can get a new battery. Hi Court, I watched your great review and the bike looks really amazing. 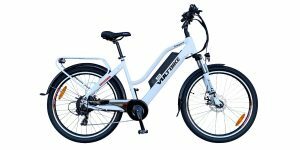 I have found one used Smart ebike in good condition, but I am wondering how I could replace the battery and carbon chain when the time comes. Should I in general be worried about other support aspects? 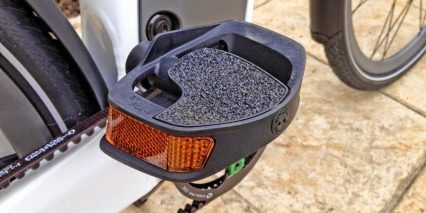 Any help from you (or other Smart ebike owners in the forum) will be appreciated. Thanks. Hi John! Good questions… and yes, I’d be a little concerned about battery replacement because it’s so custom. 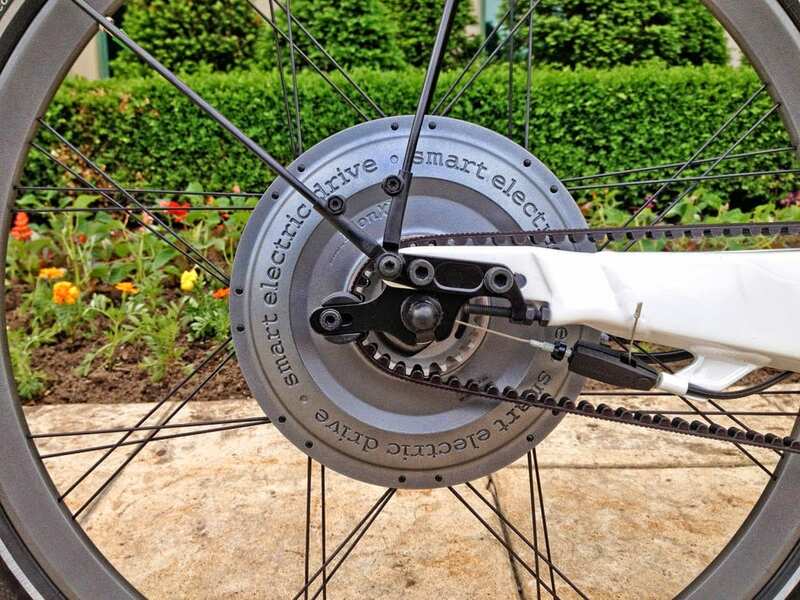 The belt drive shouldn’t be an issue because Gates is in business and you can just take the rear wheel off, put a new belt on, tighten the horizontal dropout and be fine. 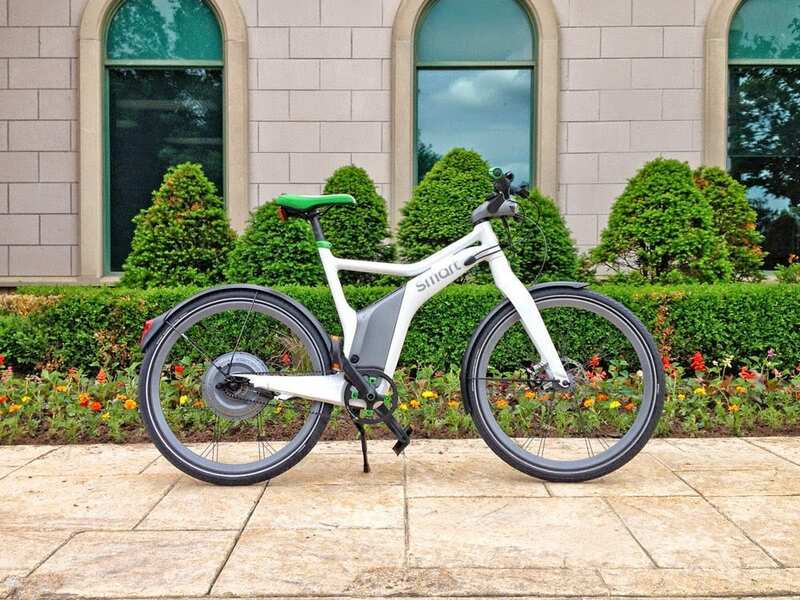 BionX is still in business (and owned by a very large car company in Canada called Magna) but I cannot say how many spare Smart Ebike batteries they have to sell and the bike is now out of production. There are however, some battery repacking services that exist like Rechargeable Power Energy in Las Vegas, NV that can do this for some packs. 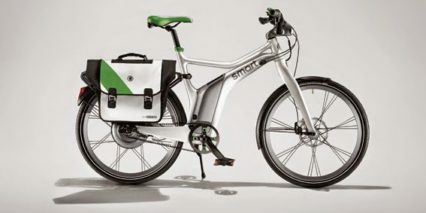 I heard that they may struggle with BionX packs, could be worth checking first or using as a way to ask for a lower price on the Smart Ebike. Thanks Court. This is indeed great feedback. I will check with Rechargeable Power Energy in Las Vegas. I have also been watching your reviews like a Netflix binge, they are kind of addictive :-) One comment I would have is that given ebikes are in general pricy if you can consider adding serviceability factor (especially finding and replacing batteries) that would be great. A lot of these companies are smaller startups and may not be around or have parts in stock for a long time for their older bikes. Thanks a lot again for all these great reviews.